So I pulled out all my blue nail colours and had a proper think, how many does a girl really need (one is probably sufficient really, but I adore blue…so I’m going to allow myself five) I decided there was one I just love and couldn’t be without – Baker Street from Nails Inc. A stunning blue that is definitely an overall favourite for me, not just in the blue family. Then I wanted a dark one – this was an easy choice too. 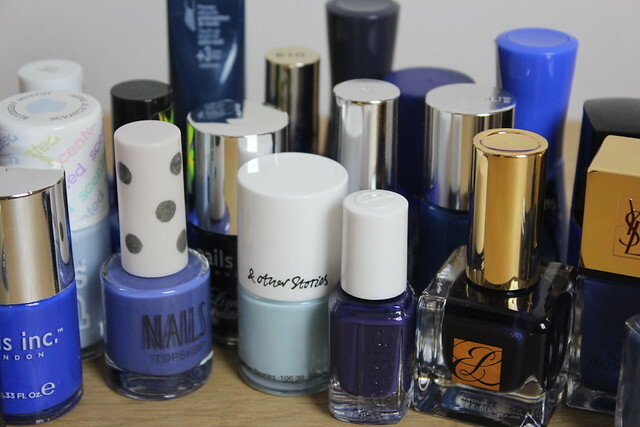 Another one from the Capsule Nail Wardrobe post – Blue Blood* by Estee Lauder. The fact that this makes me think of Tom Selleck and one of my current favourite TV shows is a bonus. Then I wanted a pale shade – so I chose Bourjois Adora-Bleu*, another pick from the capsule selection – keeping my favourites consistent! 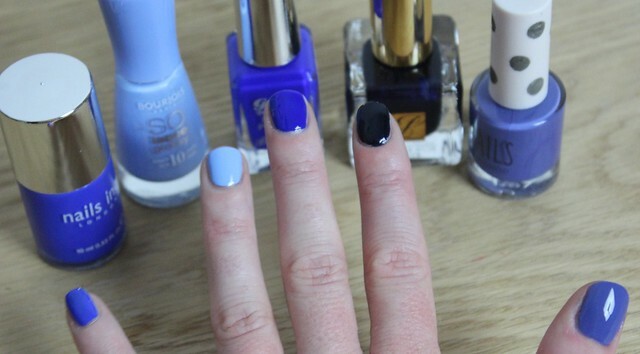 Then I wanted something blue, but a bit murkier – so I chose Topshop Blue Monday. A creamy, slightly cloudy blue that is perfect for dull British weather when you maybe don’t want a blue to be quite as ‘in your face’ as some of the other brights but don’t want an inky blue either. 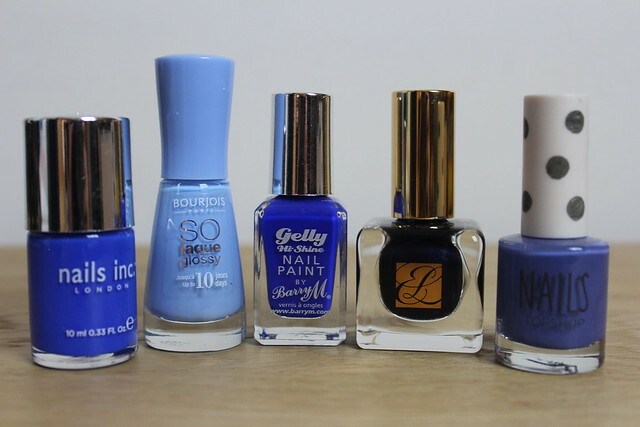 Then my final choice is another bright blue I love – Barry M Gelly Shine Nail Paint in Blue Grape. 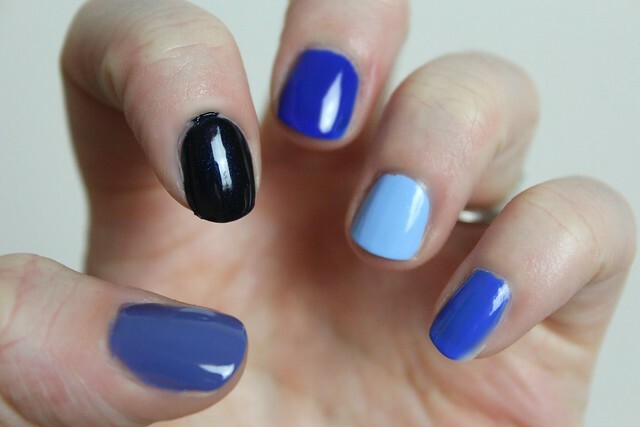 A stunning bright blue that is bright, but a bit softer than the Nails Inc shade. Although admittedly they do look similar on the photo, in person they are slightly different with the Gelly Shine being a little sheerer and softer in colour where Baker Street really pops with colour. 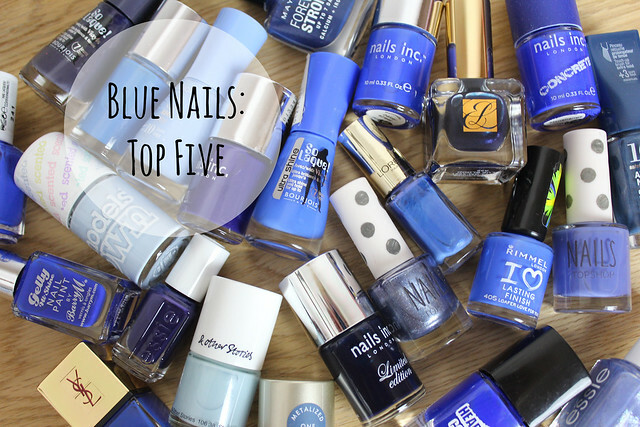 But there we have my top five blue nail colours – I almost added in another in the shape of Bourjois 1 Seconde Gel* in ‘In the navy’ a gorgeous bright navy shade – not deep navy, but almost a cross between navy and royal blue. I’ve been wearing it this week and loved it. 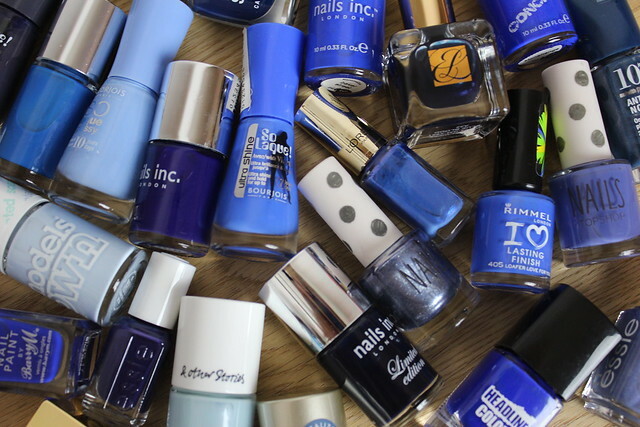 What are your top picks for blue polish…don’t enable me too much, but are there any you recommend that aren’t here?! Previous Post A beauty junkie in London gets a make-over! That is an impressive collection!!! Love all your picks.